Tri State Garage Door Services is a award winning garage door company serving Westchester NY. Listed below we were handpicked as 1 of New York's top 3 garage door companies. Handpicked top 3 best garage door repair in New York, New York. satisfaction, trust, cost and their general excellence. You deserve the best! 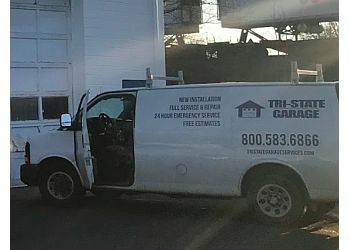 Trust Tri State With Your Repairs, We Can Fix It! We’ve been working on garage doors for over 10 years and offer superior service. Schedule Your Garage Door Repair online HERE TODAY! Garage doors are the largest moving object on your home. If you have a problematic garage door, it compromises the safety of your family and home. Tri State Garage Door Services is a professional company you can count on. We provide you with quality service at a reasonable price. We offer FREE estimates on replacement garage doors and are spring replacement specialists. 24 hours a day 7 days a week we are your number one garage door repair service.